Dr Saleeb has taught multiple modules at undergraduate and postgraduate level in Architecture, Building Information Modelling, Design Engineering, Programming and Graphics. 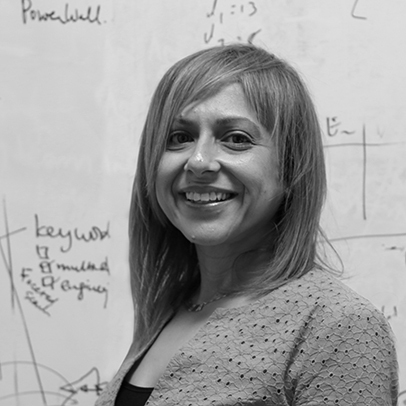 Dr Saleeb's research interests lie at the intersection of architecture, computer programming and e-learning disciplines specialising in 3D digital architecture and Building Information Modelling. She is also currently investigating using Artificial Intelligence agents to develop student interaction and e-learning applications. Dr Saleeb has publications in several peer reviewed international journals, conferences and book chapters, and is currently supervising PhD and MSc students in the research areas above. Initially an architect, Dr Saleeb worked for many years in industry in design, construction and onsite project coordination. She is currently providing consultancy on BIM implementation and management. Saleeb, N. & Dafoulas, G. (2013), 'Artificial Intelligence in 3D Virtual Environments as Technological Support for Pedagogy', Proceedings of the 2nd Conference on Future Intelligent Educational Environments (WOFIEE'13), 16-17 July 2013 Athens, Greece. Saleeb, N. & Dafoulas, G. (2012), 'Architectural Evolution of e-Learning Virtual Worlds: Proposed Design Measures to Enhance the e-Learning Experience within 3D Learning Spaces', in Wankel C. & Hinrichs R. (2012) Engaging the Avatar: New Frontiers in Immersive Education, Emerald Publishing, Bingley, UK, pp. 49-81. Saleeb, N. & Dafoulas, G. (2011), 'Affordances and Constraints to E-Learning: Role of Architecture in 3D Learning Space Digital Design', International Journal for Digital Society, vol. 2, no. 3, pp. 36-47. Saleeb, Noha and Dafoulas, George and Loomes, Martin J. (2016) The role of architectural design in virtual worlds for educational purposes. In: 9th International Conference on ICT, Society and Human Beings (part of MCCSIS 2016: Multi Conference on Computer Science and Information Systems:), 01-04 Jul 2016, Funchal, Madeira, Portugal. Dafoulas, George and Saleeb, Noha and Loomes, Martin J. (2014) Design of ubiquitous 3D virtual spaces: matching with behavioural patterns. In: 11th International Conference on Web Based Communities and Social Media 2014.